DOWNTON ABBEY TRIVIA CONTEST!!!! ROUND 2 !! So for Round 2, the process is pretty much the same! 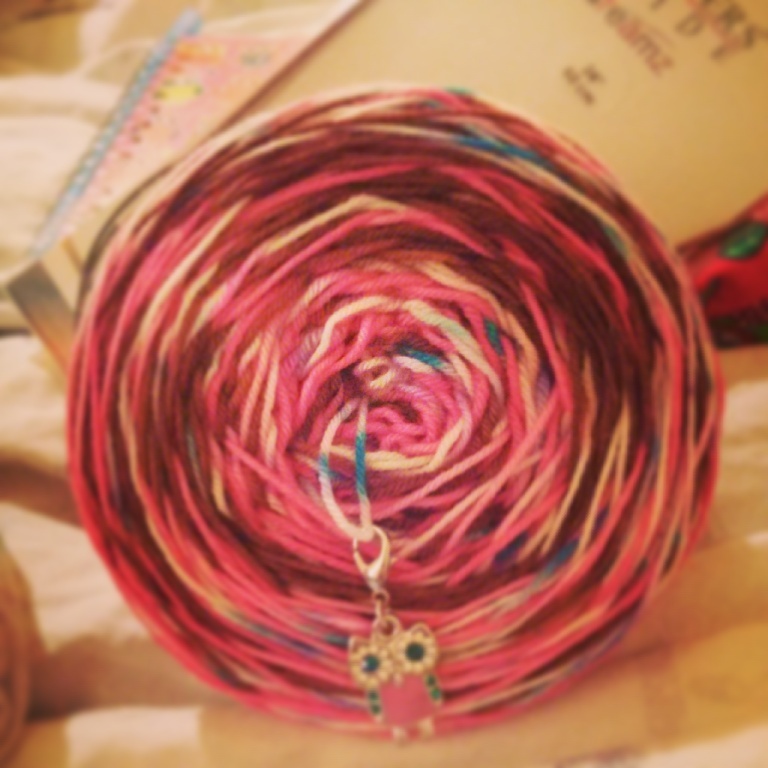 All you need to do is be a member of our Ravelry group and click on the link below! It will direct you to Rafflecopter where you can answer this episode’s trivia contest and you can also earn extra entries in the draw by joining up at our other social media sites (it will do it automatically 😉 ) The raffle link will stay active for 1 week and we will draw for the winner and announce their name in the next podcast where we will ask a new question and a new link will be provided, as well as a new prize will be up for grabs! 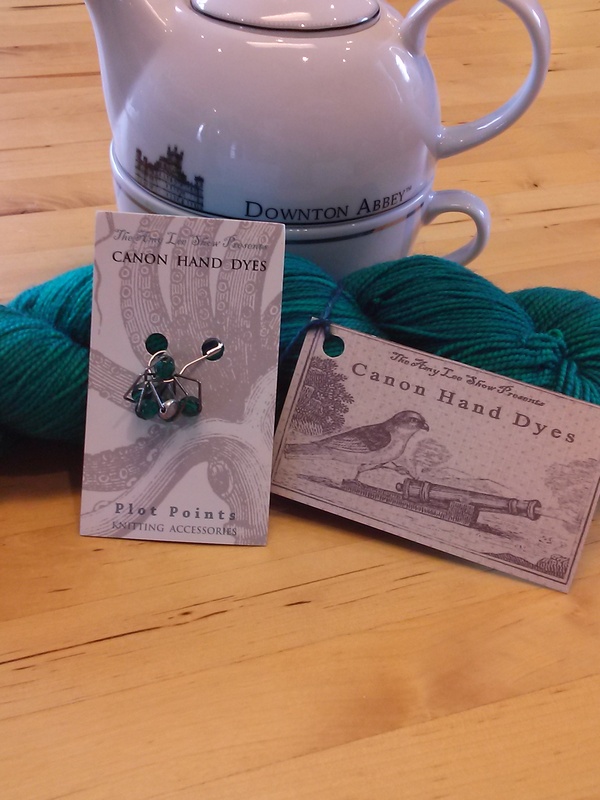 The Prize for this round is a skein of Lavinia Swire sock yarn and matching stitch markers from Canon Hand Dyes! and the question is: What did Mary give to Matthew before he went off to war? KAL/CALs Katy is still working on her Hitchhiker shawl by Martina Behm for the never-ending Behm-a-Long with the Knitmore Girls Podcast. 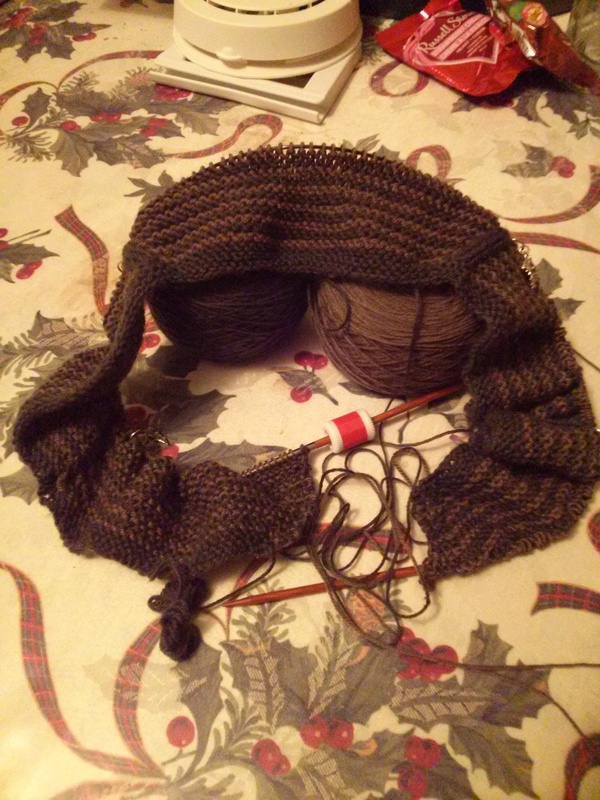 She’s making her shawl out of Western Sky Knits Magnolia base sock yarn (MCN) in the colourway Rainbow Night. EVENTS We recently had a new doughnut shop open up in our city. 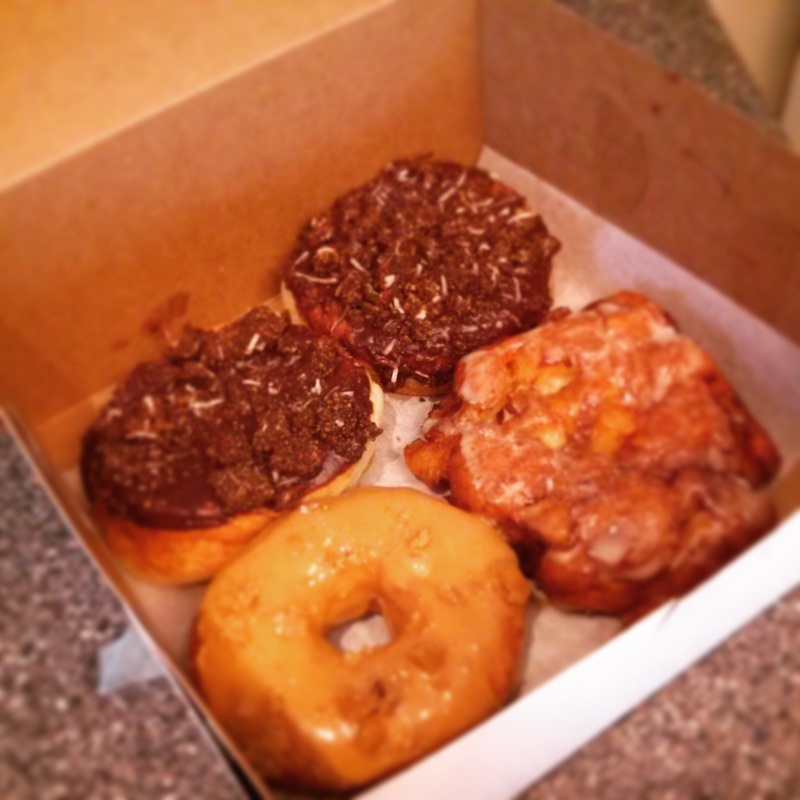 They make all vegan doughnuts in really yummy flavours, so if you’re in the area of Niagara in Ontario, check them out! 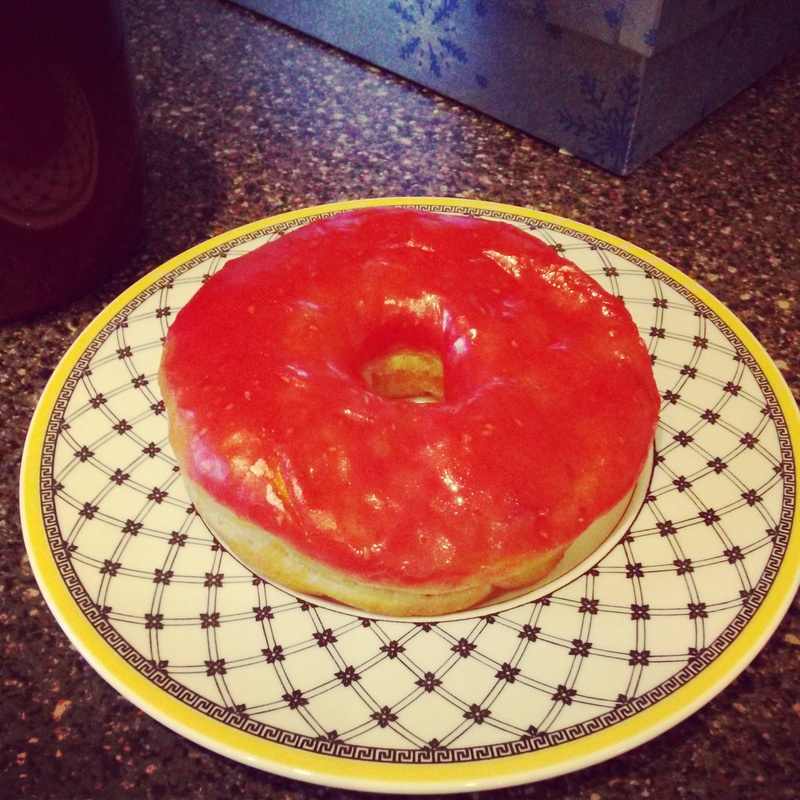 They’re called Beechwood Doughnuts and they’re in St. Catharines, Ontario! Valerie is busily working on little tiny crocheted flowers for her Molly Flowers blanket. She’s using repurposed yarn from her Flowers in the Snow Afghan and plans to use one stripe from that afghan to make a scarf for donation to Out of the Cold. 🙂 Katy is working on her Orchid Thief Shawl and playing a very close game of yarn chicken with her pretty yarn from Quaere Fibers. Looks like she may make it! 😉 She also plans to work on the Snowball’s Chance in Hell mitts a little more, and pull out the Clockwork she’s working on for her husband. Katy is still spinning away on her Moon Rover fibre in ‘Nebula’ and plying on the fly using her Turtle Made Turkish spindle. Need: Katy needs a haircut, needs a change in her hairdo, really badly – she has permanent mom ponytail and it’s driving her crazy! Val still needs to arrange for off site storage for her apartment to get her life back in order! Want: Katy wants to finish 3 WIPs before starting anything new. Val wants to lose weight, and a mutual friend has given her an elliptical to help her on her journey! Want to do: Katy wants to watch Sherlock on their new TV, because the new TV is awesome and she needs to experience Sherlock on it! Learned: Katy learned that weighing her yarn as she goes along on a shawl (or anything really) helps a lot – especially in a deathly game of yarn chicken! Katy received one of her Christmas bonus splurges in the mail; a Steampunk inspired shawl kit from Marigold Jen on Etsy featuring a skein of her lovely sock yarn in ‘Copper Patina’ along with a 50g skein of the same colour only a sparkly version, two clockwork stitch markers and the pattern ‘A Cog in the Machine’ by Heather Laws. It came in a lovely copper organza bag and got to her really fast. 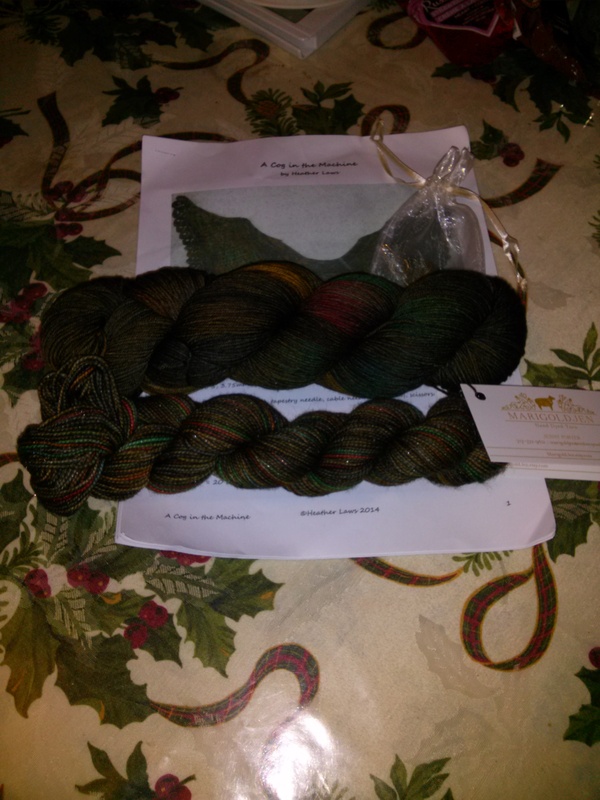 Katy is looking forward to this shawl so much, it’s her first Marigold Jen purchase! Valerie is totally in love with Vivid Yarn Studio and her new colourways; ‘Te Amo’ and ‘Snow White’. The snow white she just needs, like air to breathe. She would love to have both of these colours and to support her business as she’s in Calgary. Lots of Canadian indie dyers turning out lovely products. Katy isn’t really reading anything – baby keeping her up is preventing her from doing much in the line of free time activities. She is watching the new TV series 12 Monkeys based on the movie. She’s catching snippets of it here and there while trying to knit in bed. BUT!! She did finally get to see the Hobbit: The Battle of Five Armies and really enjoyed it! For what it was, it was very good, she likes Tauriel even though she was an addition that wasn’t in the original story and she also loved Billy Boyd’s song a the end.